Most of us might be aware that Microsoft is going to rename it's one of the cloud storage service SkyDrive soon due to disputes with one of the UK firm named British Sky Broadcasting Group. You can find this official announcement at blog by Ryan Gavin. 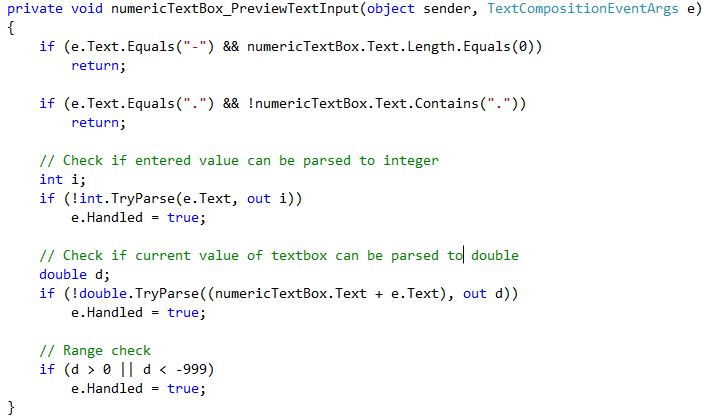 What do you think about the above code? In first sight, it looks correct, but is it really perfect or thread safe? Well, here answer is NO. One very minor thing is missing in above code which can lead your application to crash in multi-threaded environment. If you will inspect the above snippet closely, you will notice that the way event is handled here is the culprit. In multi-threaded scenarios, above code can create lot of chaos. Well, enough of suspense. To figure out this hidden culprit, let's take an easy and small snippet. At this point, PropertyChanged has an event attached to it. So, first line will return true. Meanwhile, on thread #2, the object that has it's event handler attached to PropertyChanged removes it from PropertyChanged. But thread #1 already did it's null check, so it moves on to next statement. Hope by this time, you understood the issue with above sort of code. Now question is, how to resolve this issue??? After doing the above changes, once the null check is happened, instead of calling PropertyChanged(this, null), thread #1 will call temporaryVariable(this, null); The temporaryVariable is keeping track of all the event handlers that were attached to PropertyChanged, so that statement won't throw a NullReferenceException. In computer science terms, above problem is called Race condition. Hope you enjoyed this small and useful tip. Now question is, why there is delay between button click and sound ??? Reason is, the event hierarchy. Most of us might be aware that Click is a bubbling event, which means event will be fired from the control who initiated it. So, in our case, whenever button is clicked, it bubbles from button to window. And that's the reason, click event handler is executing before the window event is triggered, which is ultimately leading to delay. Now, how to handle this??? 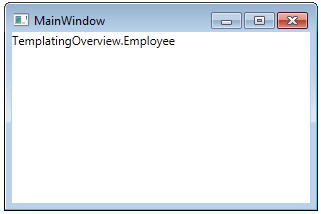 In the above snippet, I am using VisualTreeHelper to verify is click event is occurred on button or not. Don't you think, it is bit dreadful? If it seems good, then you can go ahead with this approach else I got one more idea to implement this using ResourceDictionary. For me, this approach looks better. Hope you enjoyed reading!!! DataTemplate is a very powerful concept which allows you to provide a visualization for your objects in your application. DataTemplate objects are very useful specially dealing with collections. 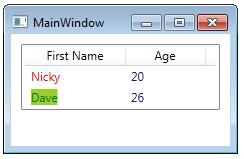 If you bind your collection with any of the ItemsControl, say ListBox then by using a DateTemplate one can change the appearance of data objects very easily. Well, now let's create a DataTemplate quickly. 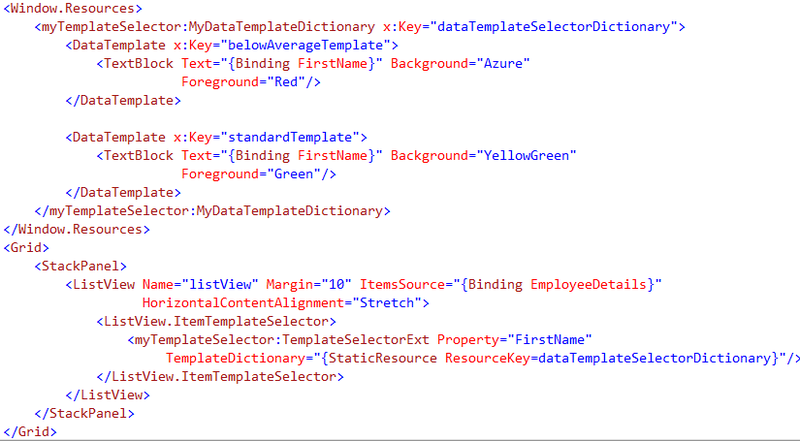 In above snippet we are saying that please provide us the string with given format. Now, if you will go ahead and run this again you will find that our DataTemplate is changed and now it is using our overriden ToString. In above snippet, we have created a DataTemplate on the ContentControl and inside this DataTemplate, one can do any styling and can create any number of visual elements. Later on, these visual elements can be bind to any public property of Employee object. Please note, the Datacontext for this DataTemplate will be EmployeeDetail. 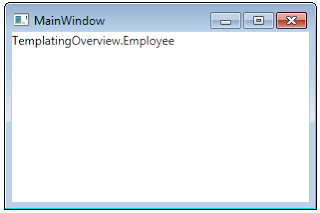 Now, if you will run the app, still you can see the value of Employee object. Hope you enjoyed reading. 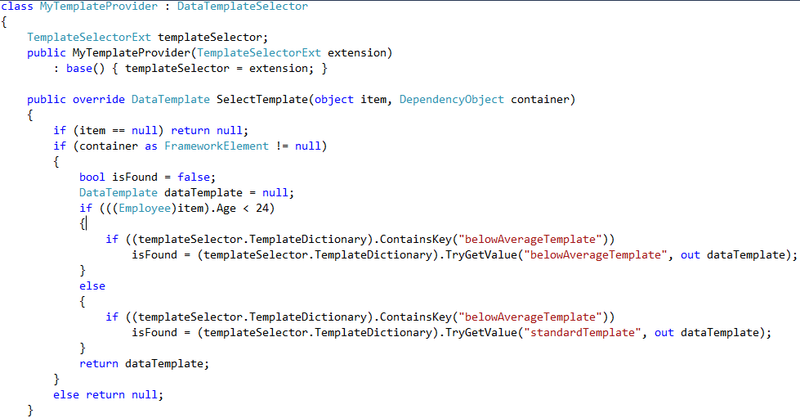 In Next article, I'll be writing about DataTemplateSelector. 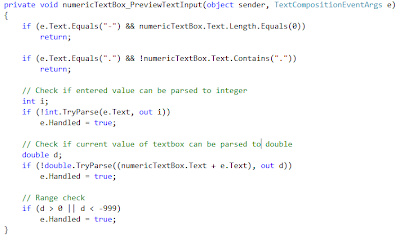 Recently working on one of the project, I came across an requirement of validating a TextBox in which Textbox should allow numbers only between range -999 and 0. If you will surf on internet, you will perhaps find many solutions to this problem in which developers create their own versions of TextBox either by creating a Custom/User controls or by inheriting it. 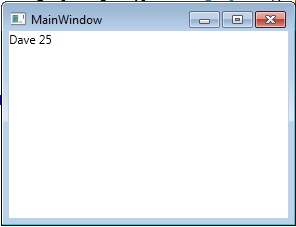 But problem of this approach is - you would need to replace your TextBox definitions with your newly created TextBox. Sometimes this solution can be opted but sometimes it is not feasible to do so. Hope you like this clean approach. 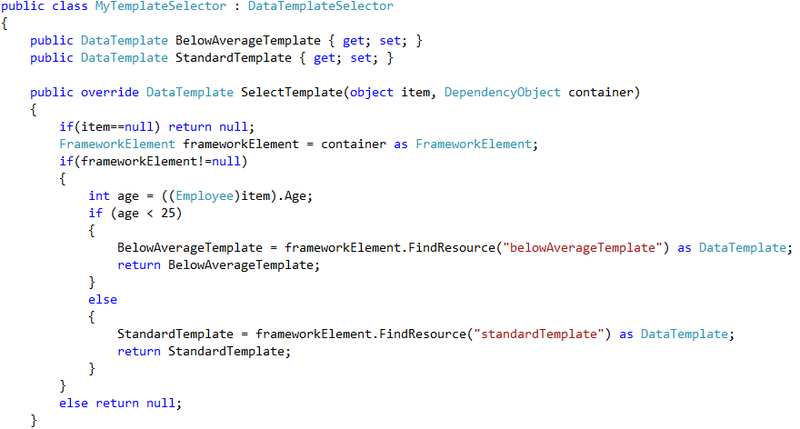 One can associate ValidationRules with binding objects. 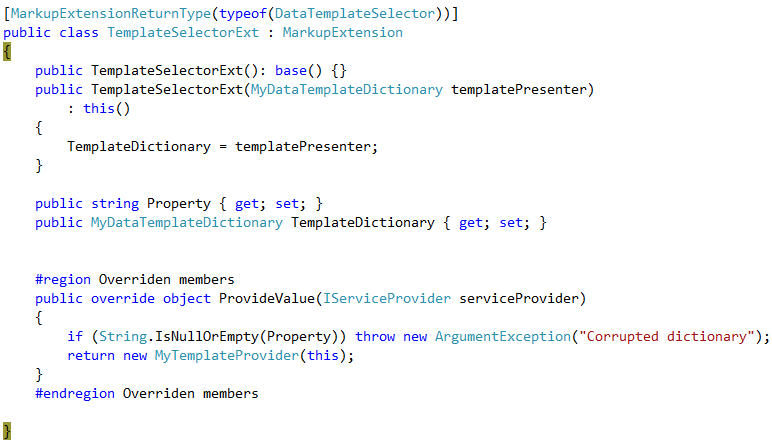 So, whenever exception is thrown while updating binding source property, ExceptionValidationRule class will take care of it based on how we specify our logic to react with these exceptions. Let's have a look at the code. Please note, once can always come up with their own validation rules. Less converters can lead to good performance - If possible, use minimal converters because converters require boxing and unboxing. 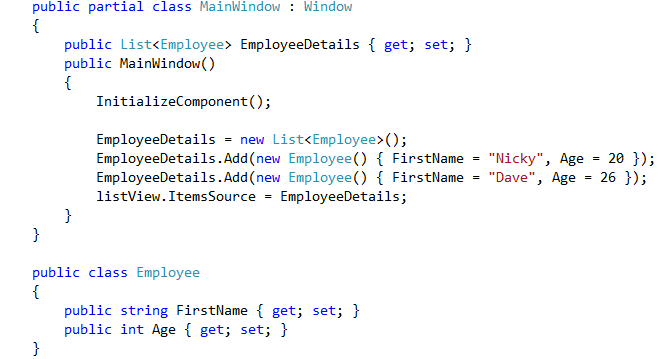 One alternative is to create a property in a ViewModel, do conversion related activity in getter and bind to it. Binding.DoNothing - This seems to be useful in the scenario where return value of a converter need not to interfere in the binding process. In such cases, FallbackValue can be used. Data binding cheatsheet can be found here.